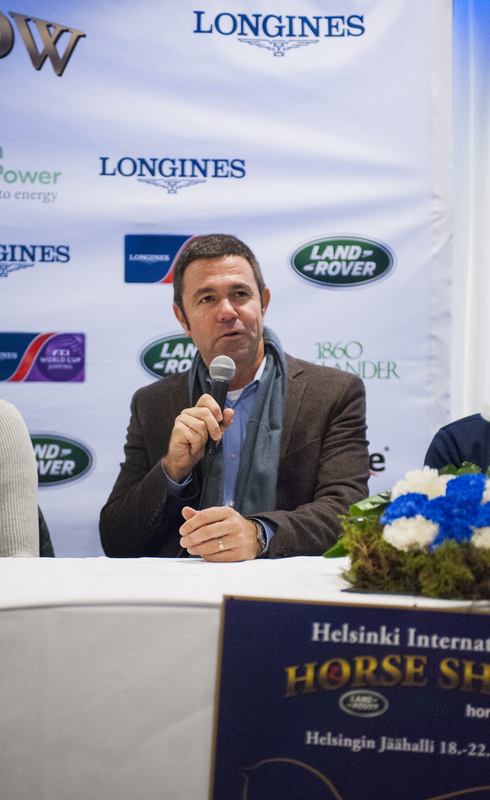 CSI5*-W Helsinki relies on the international experts. Only the best is good enough for us, states Event Director Tom Gordin. Tell us in a few words how the jumping courses have changed over the last 10 years? In my opinion the quality of horses in getting better ever year and the riders are riding as well as ever. We have many top riders with a very strong group of horses, allowing them to compete every week. The number of CSI5* increased a lot and so has the prize money. The quality of the footing also evolved a lot, with the jumping surfaces at top shows being very consistent, reliable and with a lot of spring, insuring that the horses can use their potential to the maximum. Those factors together I think allowed the riders to have a very forward way of riding, resulting in a change of the length of the stride of the horses. With that in mind, the way we use the distances in between jumps, on lines and combinations, has changed a lot. We are using longer distances, and when we need to do a test on the short side, we are not using the same short distances as we used before. You´re a role model for many CD:s. Who was your mentor(s) during you early career? I was lucky to start early enough that I could work with a lot of CDs, and I think that really helped me to develop my style and way of designing. Leopoldo Palacios (VEN), Linda Allen (USA) and Olaf Petersen (GER) were for sure very important references on my career, and I was lucky to work as assistant to many others: brazilians Helio Pessoa (Rodrigo’s uncle) and Joberto Fonseca, Aki Yllane (FIN), Frank Rothenberger (GER), Arno Gego (GER), Javier Fernandez (MEX) to name a few. We see you travel a lot building all over the world. What´s your summer program? Having moved to Wellington, FL in 2016, I do most of my summer shows in the USA and Canada. CSI5* Spruce Meadows and CSI5* Balmoral will be some of the biggest events, with other stops in Blenheim, California, and Traverse City Michigan, as well as a CSI2* in Palgrave, Canada. 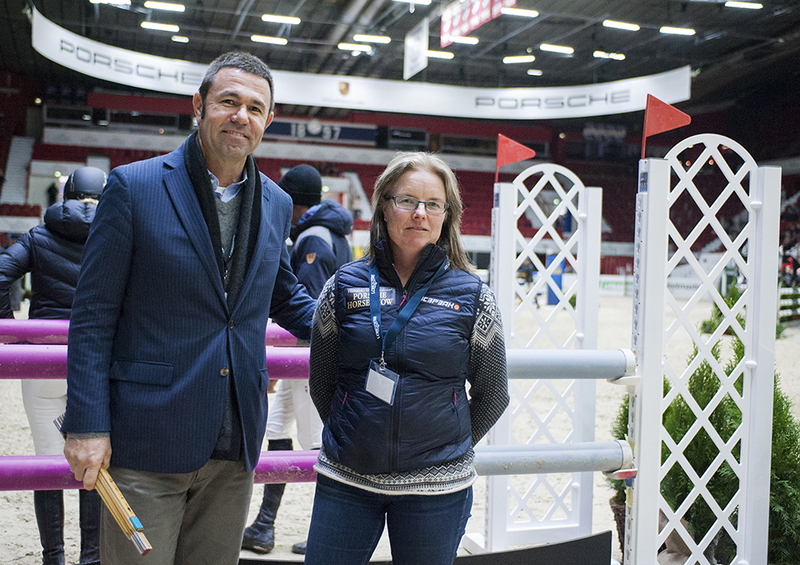 CSI5*-W Helsinki has had the privilege to work with you over the years, and now the 3rd time in a row. What does Helsinki stand for in your mind and heart? Finland is very special for me as my first CSI outdside of Brazil as the responsible CD was CSI Ypäjä back 1997. CSI5*-W Helsinki is special in the way that my first contact was as an assistant to Aki Yllane at the 1998 WC Final, and after that has designed the course for 5 times. We’ve been talking of a long term partnership and I am very proud of that. The show also has evolved a lot, and specifically on my area invested a lot on a new set of jumps that suits much better the dimensions of the arena. I have a very good team led by Finnish Course Designer Johanna Mikkola and it is always a challenging but very rewarding week on my calendar.